Indian Army published a job vacancy recruitment notification on 17/07/2017 to hire 10th pass candidates for the post of Tradesman Mate and Fireman. Those who want to join Indian Army can apply for this latest government job vacancy of Indian Army Recruitment 2017.
Who Can Apply? The candidate who completed the 10th class can apply to this job. An Indian Army recruitment 2017 want to receive the job application from candidates by Offline Method. Eligibility: Eligible applicants can able to submit their Indian Army job application to before the last date as 07/08/2017. All those interested candidates can check out job information before applying like eligibility, salary, total vacancy, Selection Procedure, Job description, last date, application procedure and other useful information required for the post below. Kindly go through all the below details before submitting your application by Offline. 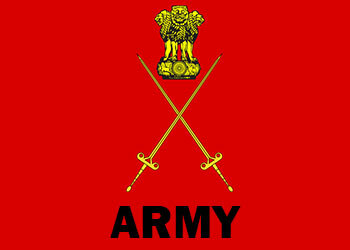 Job Address: Indian Army, Bharatpur. Qualification Requirements: 10th pass candidate capable of passing a written exam as it involves induction to Group ‘C’ post. The candidate should be sturdy and be able to carry loads. A candidate should be clear physical endurance test or Skill test whichever will applicable to get select in Indian Army Recruitment 2017. The last date for accepting the job application is 21 days from the date of publication of the advertisement in the Employment News. In case of candidates belonging to Assam, Meghalaya, Arunachal Pradesh, Mizoram, Sikkim, Ladakh Sub Division of Jammu and Kashmir state, Lahaul & Spiti District of Pangi Sub Division of Chamba District of Himachal Pradesh, Andaman & Nicobar Island & Lakshadweep shall be 28 days from the date of publication of this advertisement. However, the crucial date for determining the age limit for all shall be the closing date for receipt of the application i.e. 21st day from publication. All candidates must remember this last date to apply in Indian Army i.e. on 07/08/2017. Subscribe your email address in below box to get free job alert and always visit our website to know daily best job offers and government job recruitment employment notifications.